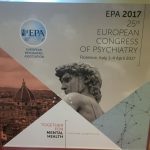 From 1 – 4 April, EBC was pleased to attend the 25th European Congress of Psychiatry held by one of its members, The European Psychiatric Association (EPA), in Florence, Italy. 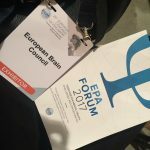 Guided by the motto “Together for Mental Health,” the congress facilitated learning, discussion, and exchange among European and international psychiatrists together with leaders of stakeholder organisations in mental health. 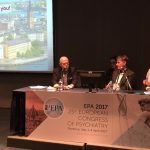 A special focus of the EPA Congress was the dialogue between neurosciences and social sciences in the context of a psychiatry congress, overcoming the traditional separation between the domains of biology and human relationships, which has misled for too long the psychiatric and scientific professions and public opinion.​ The congress hosted an incredible range of speakers and leading experts in their fields, attending from all over Europe. 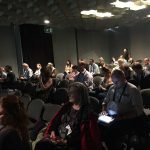 The topics of discussion were also diverse and covered many aspects of psychiatry, ranging from “Gaming, gambling, behavioural addictions: Challenges in diagnosis and treatment​” and “Mental health care in refugees and asylum seekers” to ​​”Social media and e-mental health” and “Promoting mental health in the health and non-health sectors”. 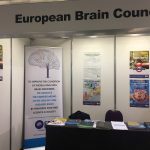 Throughout the Congress, EBC welcomed Congress attendees to the exhibition booth, handing out the latest Value of Treatment Discussion Paper, the Call to Action and Consensus Paper, and the latest Joint Statement on Depression released on this year’s WHO World Health Day. 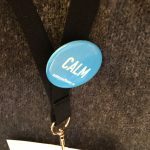 Furthermore, details on EBC’s mental health at the workplace initiative, Not Myself Today, were available and countless people across the Congress were later spotted wearing the initiative’s iconic “Mood Buttons” proclaiming how they were feeling that day. 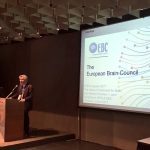 EBC was extremely pleased to contribute to the congress through a joint Symposium with EPA on EBC’s Value of Treatment (VoT) for brain disorders research project evaluating the treatment gap of mental and neurological brain disorders, where EBC President Prof. David Nutt and Vice-President Prof. Patrice Boyer presented EBC and the VoT project as a whole. 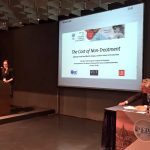 Value of Treatment project experts Prof. Michela Tinelli of the London School of Economics (LSE) and Dr. Nick Guldemond of Erasmus University Rotterdam presented their work throughout the project, examining the Economic Analysis and costs of non-treatment and the Patient Journey, respectively. 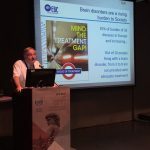 Lastly, Prof. Wolfgang Gaebel, Immediate Past President of the European Psychiatric Association (EPA) and Schizophrenia Working Group member, presented the preliminary results of the work completed in his particular working group.